Select a page, and the page preview will open in the main window on the right. After you have selected a page, you can edit it to change its content. 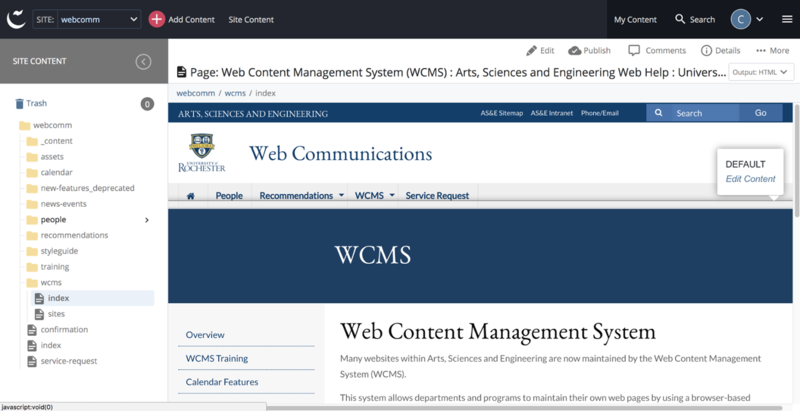 In the figure below, the user has selected the index page in the "wcms" folder, and the preview of the page appears in the large pane at the right. To edit it, click the Pencil Icon above the page preview.